25 years after the fall of the Berlin Wall, the German capitol celebrated this anniversary in a very special way. 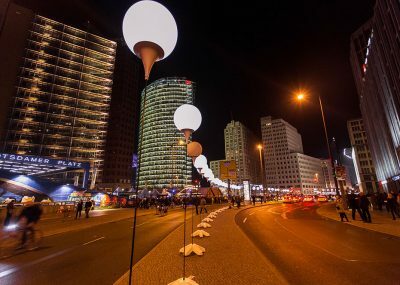 Thousands of illuminated balloons marked the former course of the borderline, which divided the city of Berlin. VALEUR MAGAZINE Issue 18 deals with topics like peace and freedom and to look for artist like Bob Marley and international brands, which were inspired by the same idea in the one or other way. Click the cover to view the magazine in Fullscreen mode. If it doesn’t work on your screen follow the link “OPEN PUBLICATION” above.